COMMunity Beat | Storytelling in Tanzania? Yes please! 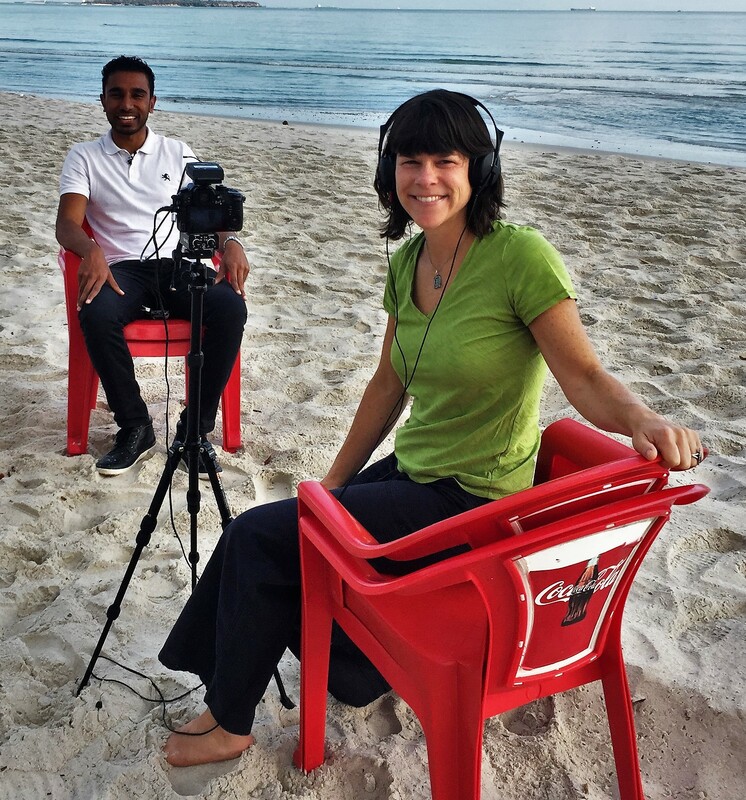 Storytelling in Tanzania? Yes please! Imagine this: you are working full time on your graduate degree, and suddenly an opportunity to fly to Tanzania and film an international design sprint appears. You have one-course-worth of knowledge on video production and the job starts in ten days. What do you do? If you are Carrie Hawthorne of the Communication Leadership program, you apply, get the job, receive a half-day equipment tutorial from Department faculty, fly to Africa, and make it happen. “I love to travel and didn’t want to pass up an opportunity to visit a new country!” Hawthorne exclaimed when asked why she applied for the Partner Program assignment. Recently launched by Communication Leadership, the Partner Program is a streamlined system that matches MCDM and MCCN students with outside organizations facing challenges or offering opportunities that are well suited to students’ expertise. The program also provides financial support, enabling students to execute the work on paid fellowships and internships. The program encourages project-based, peer-to-peer learning that empowers students to utilize new skills within and beyond the classroom. Hawthorne answered the call of Digital Financial Services (DFS) Innovation Lab, a financial technology (fintech) start-up incubator, funded by a Bill & Melinda Gates Foundation grant. Fintech refers to the innovative use of technology in the design and delivery of financial services and products, encompassing everything from lending and payments, to investment management and advice. DFS Lab’s goal is to support entrepreneurs working to improve digital financial access for low-income consumers. This means tackling multiple issues related to digital financial services through the lens of technological innovation. 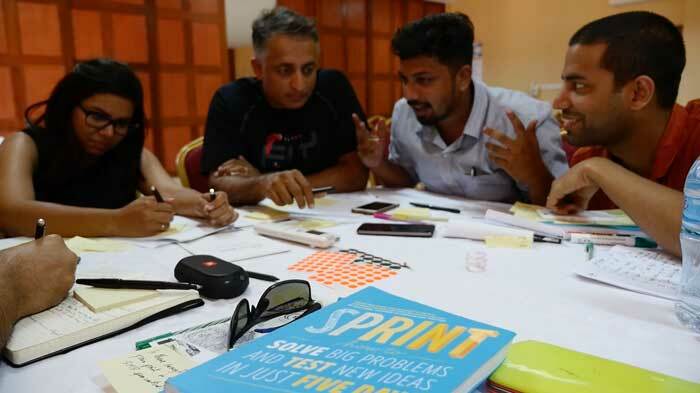 To meet that goal, DFS Lab organized a weeklong design sprint in Dar es Salaam, Tanzania. They invited a variety of teams from all over the world to develop, test, and evaluate solutions to fintech challenges, utilizing their fast-paced curriculum and expert mentorship. Although DFS Lab had already arranged the logistics of the sprint, and the international talent was en route, the organization lacked the key component that would give their work longevity and traction—a communication strategy. Enter Communication Leadership. After Professor Scott Macklin helped DFS Lab determine that video was the most effective tool for telling these start-up stories, Hawthorne set out to capture a week of nonstop work and ideas into a three-to-five-minute-long project. However, the shoot presented unique challenges to the somewhat inexperienced filmmaker. The final cut captured both the essence of DFS Lab’s work as a start-up accelerator and the joy of the design sprint’s participants, who benefitted from DFS expertise and came away with refined concepts, new solutions, and potential collaborators. As Hawthorne’s work demonstrates, a willingness to go the distance for a story can result in remarkable opportunities for those participating in the Partner Program, and a rare chance to bring world lessons home to the UW campus, moving from global to local, and back again. Students, faculty, and businesses interested in the Communication Leadership Partner Program should visit the website or contact Molly Schachter to learn more. Organizations are encouraged to participate in a variety of ways—they can apply to become a client, guest speaker in a class, host students as interns, or hire them to take on the management of a project. Students interested in pursuing Partner opportunities should start by filling out this form. Communication Leadership’s February giving campaign is devoted to expanding the Partner Program and giving more students transformational learning experiences like Hawthorne’s. Find out how to support the program here.